Moving is a hassle. It is very complicated, stress-inducing, and time consuming. If you are not careful, moving can also get incredibly disorganized very quickly. It is common that people do not realize how much stuff they really have until they set out to try and move. All the stuff that suddenly appears during the moving process can make it even more difficult. While it is easy to keep some things and throw others away, a lot of items fall in a strange in-between zone that can create more clutter. An easy solution to all of this is renting a storage unit. Here are a few reasons why you should rent a storage unit while you are cleaning out your property. The clutter that builds up on a property over time can make it difficult to clean out that property when it becomes time to move. Even if there are items that you know you want to keep, they can get in the way of deciding on the new organizational design of your property or what you want to keep or give away when you move. By taking the items that you know you still want and putting them into a storage unit, you will keep them safe and out of the way. It will allow you to better determine the best course of action when it comes to your other items. It will make your organizing process a lot simpler and less stressful. Cleaning out your property can be absolutely maddening. As soon as you think something has been officially decided, you look around to realize that that is not the case. Even though you are cleaning, everything seems to get more and more disorganized. Storage units help spare people of this fate. 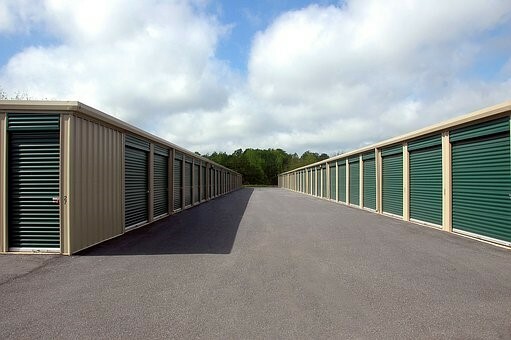 There are many reliable storage units all around, including storage units Madison, Wi. These inexpensive and trustworthy storage units will help you to stay sane by keeping your personal projects as organized as possible. Furthermore, if you keep your things in one organized, easily accessible location, they will be easier to find than if you let them clutter up a different corner of your property. By putting them in a second location, you will be able to confidently know where everything is. It is always tempting to try to get everything done yourself. This is especially true when you believe that you are the only one that you can trust with a given task. However, this attitude ends up taking up a lot of the time that you could be spending on the other things that you need to get done. If you find the right storage company that you can trust, such as Autumn Wood Storage, you will be able to entrust a lot of your important items to a trustworthy company. We help keep your clutter out of the way in a room with a lot of security for a reasonable price. Our prices are very well worth the efficiency it will allow to your cleaning task.